No matter what kind of business do you run, you probably rely on technology in every aspect of business management. There are a lot of tools that are built to help businesses complete their projects and daily activities. With so many tools around, it is hard to keep track of all of them. Assuming that you are probably busy with your everyday duties, you don’t even have time to search for new tools and test them. Fortunately, many blogs including ours provide their readers with such information and give tools suggestions. If your goal is to improve your business you should think of increasing efficiency and collaboration, advancing data security, data analysis and file management. 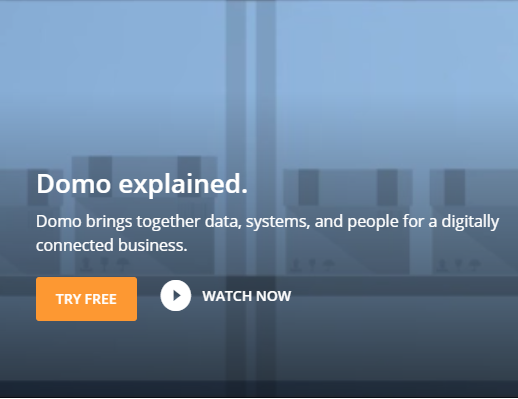 Domo is a unique way to run your business because it can bring your data together. It even has a real-time data refresh which means all your data is synced. Domo has data connectors which you can connect to directly. In other words, you can access all your cloud applications, spreadsheets, files. Domo makes your data analysis easier. 2. Easely is a tool for making infographics. If your designer is busy and you need quick designs, Easily offers a wide range of templates that you can choose from and have your infographic ready in a few hours. You need it for better efficiency. 3. Web Harvest is data scraper which extracts data from the web and gives you an option to email it or save it to a database. It allows you to apply the variety of data manipulation techniques. The whole research process is much quicker and better organized. 4. ShieldSquare is a data protection tool that protects your business from spam, account takeover, skewed analytics, digital ad fraud, price and content scraping. It fights bots successfully and protects your online business. 5. Cometdocs is all-in-on document management tool. You can use it to store files, transfer files to other people and computers, convert PDF files to various file formats, and even host files. Cometdocs offers PDF to Word, PDF to Excel, PPT, Image and other conversion types. With help of these five different tools you can improve file management (Cometdocs), protect business data (Shield Square), increase content efficiency (Ease.ly), analyze data quicker (Domo), collect data (Web Harvest). All these things mentioned, can change the way you manage your business and help you gain more success.